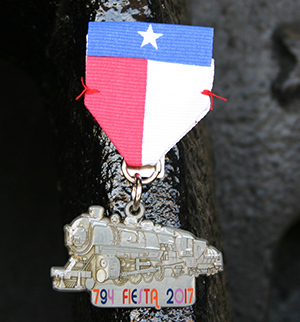 This handsome medal sports a 3D relief of the Southern Pacific 794 steam locomotive in a pewter grey color with a ribbon that reflects 794's Texas Heritage. We only have a few of this uniquely designed Fiesta Medals left. Hurry before they are all gone.